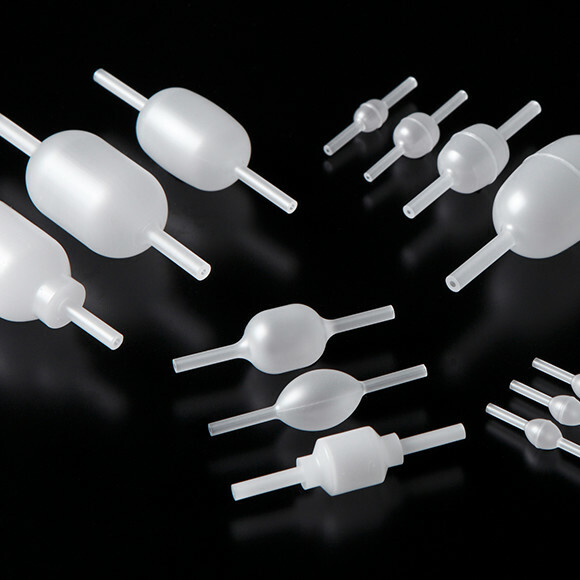 Translucent Alumina Ceramics "HICERAM" | Products | NGK INSULATORS, LTD.
HICERAM is fine ceramics with high translucency. It is suitable for the material of arc tubes installed in high-intensity-discharge* lamps, and contributes much for its longer life time and energy efficiency. *A type of electrical gas-discharge lamp which produces light by means of an electric arc between electrodes. They are typically used when high levels of light over large areas are required, like in gymnasiums, large public areas, warehouses etc. HICERAM, which developed by NGK's unique technics in material & manufacturing, achieves good translucency and thermal durability altogether. HICERAM is made of highly purified (99.99%) aluminum oxide (Al2O3). This material is sintered into a high-density polycrystalline substantially without pores that inhibit transmission of light. Reduction of grain boundary phase material and optimization control of the crystal grain size, achieves excellent translucency, which helps high efficiency of lighting source. HICERAM has its superior durability against corrosion, abrasion, and thermal shock. And withstands even in corrosive environments with high temperatures over 1000°C when light emission during arc discharge occurs. The material can be formed in a variety of shapes and is applicable to various end piece configurations. This enables our customers to create new tube and bulb designs. NGK's continuing history of supplying HICERAM since the 1970s is genuine proof of our long experience in high-level quatity control. 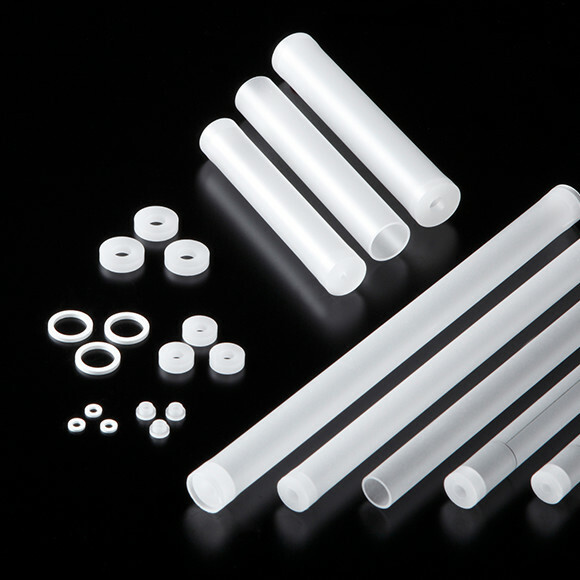 Arc Tubes for Ceramic Metal Halide Lamps These tubes come in "Bulgy" shapes that are suitable for achieving uniform temperature distribution of the tube, as well as in the traditional cylindrical shapes. These tubes exhibit high durability in metal halide vapor. Due to their special abilities in highlighting the colors of fresh foods and textiles and accessories, ceramic metal halide lamps are used in department stores, commercial establishments and shopping malls. Arc Tubes for High-Pressure Sodium Lamps (HPS) ln addition to the tube itself, end caps and frits used insealing the electrodes are also available. We can provide a wide variety of designs combining these components. These tubes exhibit durability in high-temperature sodium vapor. High-pressure sodium lamps are highly efficacy light sources that mainly impart a somewhat yellow hue (golden White), so they are widely used in streetlights, parking lot lighting, high-ceilinged factories, indoor horticulture applications, etc. HICERAM has high thermal conductivity, and greater flexibility in manufacture design. Applying to various design like heat-spreading substrates, along with a highly efficient manufacturing process that requires no additional machining means greater flexibility in manufacture design for the customer. Ability of Translucent Alimina Ceramics "HICERAM"
NGK can offer various shapes using HICERAM, like wafer, substrate and tube. And finer & complicated shapes are also available. Recently it is focused as the alternatives for Sapphire. *2 Inner diameter 8mm. thickness 0.75mm. total length 105mm.